Almost everybody in the whole world has heard of the Budapest ruin pub culture. A characteristic, popular and modern way of reinventing the city is a completely new phenomenon. If you’re not familiar with the backstory of the whole deal, read our short guide before your next Budapest pub crawl. The 7th district of Budapest is a historical area, almost all of the buildings are older than 100 years here. A vibrant and busy neighborhood that housed artisans, shops and the Jewish population of the city. By the end of the 20th century, many of the buildings deteriorated or got abandoned because of the change of tenants and real estate prices. This was the moment when the first ruin pub opened its doors. Szimpla kert was the first ruin pub in 2001. Back then, it was an old building where artists set up their studios. First, it was more like a gathering place for the like-minded, soon it has become so popular that they started selling drinks and function as a café. As it expanded, the whole building was converted into a pub, and in 2004, the garden was added to the complex. This was the turning point in the history of the district. Given the success of Szimpla, similar pubs opened soon and the style was adopted on a larger scale. Collecting run-down furniture, old knick-knacks, toys and paintings and redesigning them as a complete interior for an old building is the main idea behind ruin pubs. As these places attracted the crowd, restaurants and discos opened up nearby. 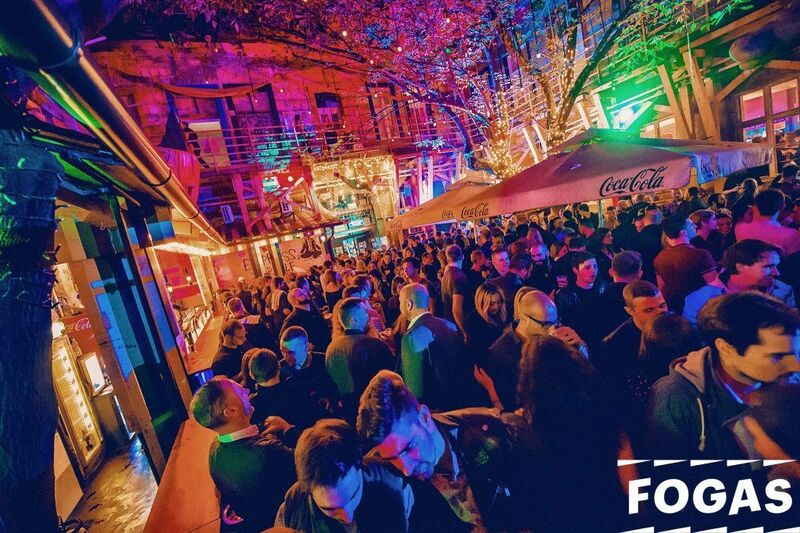 Fogasház and Instant are still the flag-bearers of the nightlife of Budapest, and they are also popular for our bar tours. By the end of the decade, more than 20 ruin pubs operate in town and they have attracted millions to Budapest. The expansion is still not over, street food joints hit the district and most of the streets are now pedestrian only areas. Nowadays, fancy wine salons rub shoulders with the old watering holes of the district for the enjoyment of all. After reading the story, you might want to try pub crawling in Budapest with us. Check out our offers and book your Budapest party experience today!